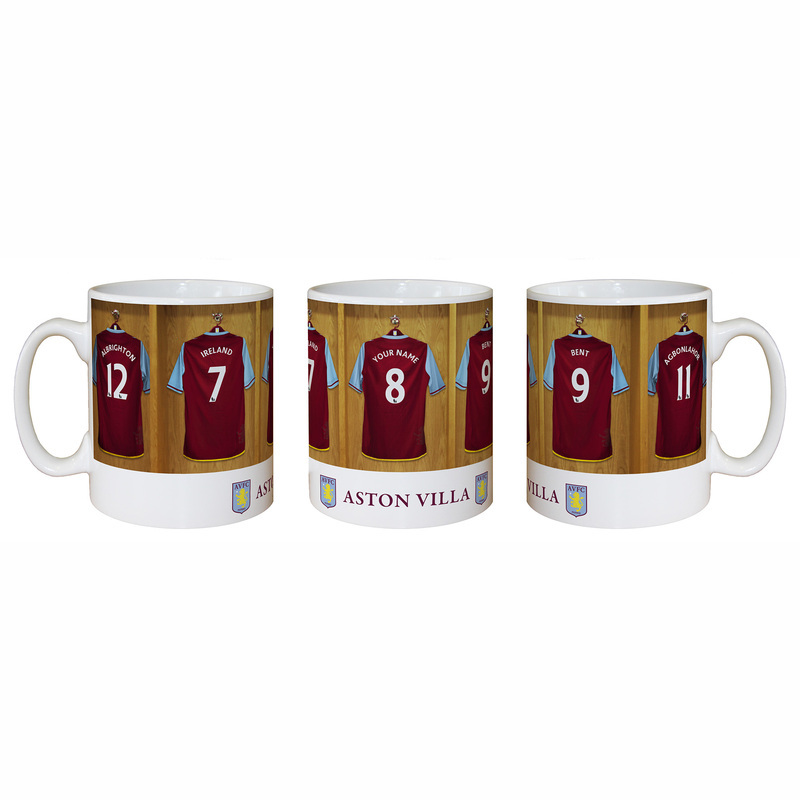 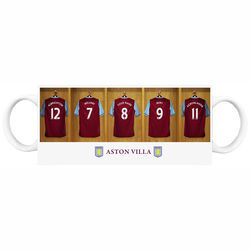 Personalise this fully licensed Aston Villa FC mug with any name of up to 12 characters and a number up to 3 digits onto the centre shirt. 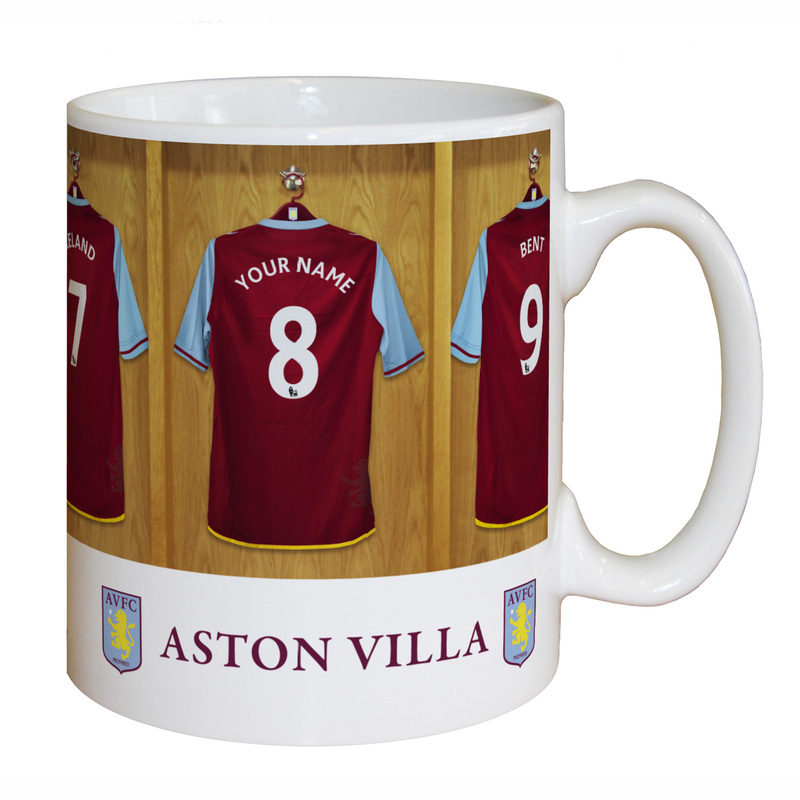 The mug itself is printed and decorated with a high quality glossy finish! 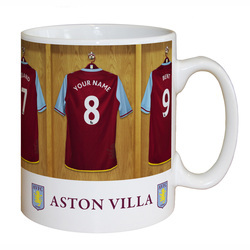 Official Aston Villa Football Club Licensed Product.